It’s far too common that when we are working towards resolving an issue that we get so wrapped up in what we are doing that we are unable to see a possibly simple solution right in front of our eyes. It’s especially common in my line of work where fifty percent of what you do is problem-solving. So much so that, in my office, we are trained to ‘zoom extents’ if we are struggling to resolve an issue. 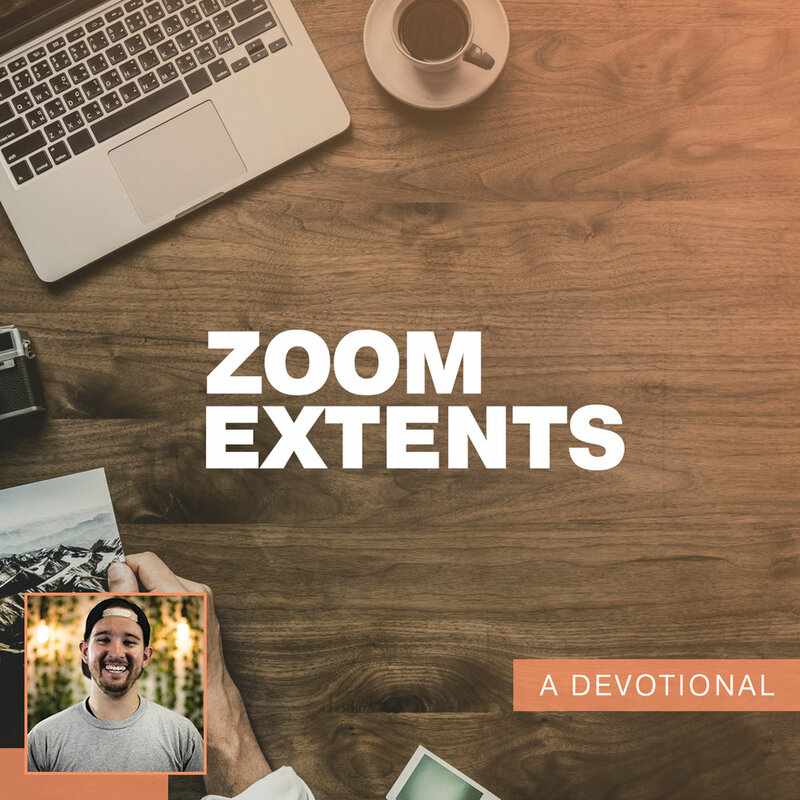 The term ‘zoom extents’ refers to two separate things. First, to ‘zoom’ or to ‘focus or move your sight onto something’ and secondly, to ‘extents’ or ’to be at the limit of something.’ So the idea is that you are focusing out or zooming out to be able to see the full picture of your work. The idea of ‘zoom extents’ causes me to think about the story of Job. The book of Job describes an extremely hard point of Job’s life where literally everything was being taken away from Job; his children, his wealth, and even his health. Even his friends and his wife started to turn on him and act like he did something wrong that caused all of this to happen to him. However, there are a few things that we can pull and learn from this time. One of the main points that we can learn from Job’s story is that even when everything seems chaotic in your life, God is still there and still working. I love at the end of the book when God begins to respond to Job and it’s in the midst of a whirlwind when God speaks to him. Another beautiful point that we can learn is that Satan is not stronger than God. Satan still had to go to God for permission, he had to plead with God to be able to do different things to Job, and he was unable to work outside of the parameters that God had set for him. We know that God is going to be watching out for us and allow for what’s TRULY best for us, not what we think is best, but what really is best. Throughout our lives, no matter how bad we may feel or how crazy things may get, we can know and trust that ultimately God is in control and He isn’t going to give us something that we cannot bear. He will be there for us, to plead our case, and even when we are at our wit's end, He’s there. God is faithful.